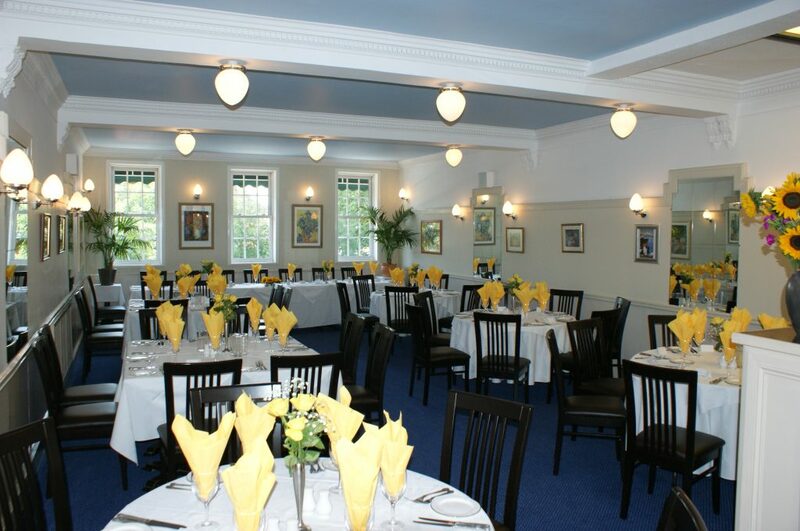 Originally built in 1937 the Athena Room has been restored to its former art deco style. 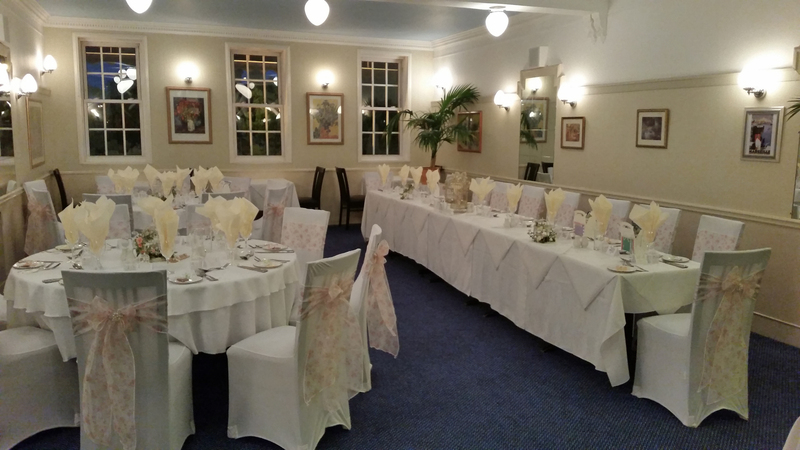 This elegant room, together with its adjoining facilities is ideal for small to medium size weddings. Just let us know the date, the length of time you want to stay with us and how many guest you would like to invite. We are here to help. There is no room hire charge as we have allowed at least four hours approximately for the occasion. If you wish to stay much longer, we will require an additional fee. We colour co-ordinate our flowers and napkins free of charge. We can also provide a cake stand and knife and we will use our table linen covers at no extra cost. If you prefer special floral displays and table decorations you are welcome to make your own arrangements.